Venezuela, officially called the Bolivarian Republic of Venezuela , is a tropical country on the northern coast of South America. It borders Colombia to the west, Guyana to the east, and Brazil to the south. This is a particularly possible scenario if the disease gets to Haiti or Central America, he said. If the disease gets to countries like Guatemala, Honduras or El Salvador, it will cause a panic and people will flee the region, the general said. (Reuters) – The site of what may someday be Venezuela’s first newsprint factory today consists of little more than a warehouse, several acres of cleared tropical savannah, and two billboards bearing pictures of President Hugo Chavez. More than five years after Chavez first hailed state-owned Pulpa y Papel CA as a vanguard “socialist business,” there is little else to show here in rural southeastern Venezuela for the more than half a billion dollars that state investment fund Fonden set aside for the project. As with many Fonden investments, tracking the money sent to Pulpaca, as the project is known, is difficult. A Pulpaca annual report for 2011 said the project was stalled for lack of funding. A manager at the dusty gates of the compound declined to comment. So did contractors involved. Requests for interviews with the industry ministry, charged with disbursing Fonden money for such projects, went unanswered. Fonden is the largest of a handful of secretive funds that put decisions on how to spend tens of billions of dollars in the hands of Chavez, who has vowed to turn the OPEC nation’s economy into a model of oil-financed socialism. Since its founding seven years ago, Fonden has been funneling cash into hundreds of projects personally approved by Chavez but not reviewed by Congress — from swimming-pool renovations for soldiers, to purchases of Russian fighter jets, to public housing and other projects with broad popular appeal. The fund now accounts for nearly a third of all investment in Venezuela and half of public investment, and last year received 25 percent of government revenue from the oil industry. 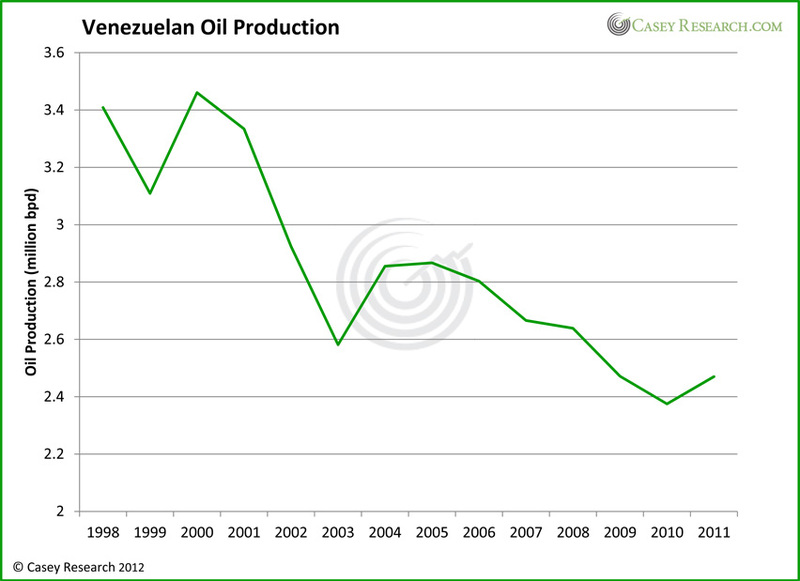 All told, it has taken in close to $100 billion of Venezuela’s oil revenue in the past seven years. Fonden attracts scant attention beyond policy experts and Wall Street analysts. But it is at the heart of Chavez’s promise to use Venezuela’s bulging oil revenue to build new industries, create jobs and diversify the economy in the service of his self-styled revolution. Finding out how much of that money Fonden has spent, and on what, is not easy. The most detailed descriptions usually come from Chavez himself, rattling off multimillion-dollar investments on television while chatting with workers and extolling the virtues of socialism. Fonden does not regularly release lists of projects in its portfolio. Adversaries excoriate it as a piggy bank that lets Chavez arbitrarily spend billions of dollars with little more than the stroke of a pen and perhaps a celebratory Tweet, with accountability to no one. The secrecy also makes it impossible to determine what went wrong – at Fonden, or at the ministry level, or on the ground — when a project like Pulpaca stalls. Critics point out that since Fonden’s creation, Venezuela’s economy, rather than becoming more diversified, is even more dependent on its mainstay: In the first half of this year, oil accounted for 96 percent of export earnings, compared with about 80 percent 10 years ago. The perception of secrecy has left investors unsure how to measure Venezuela’s fiscal strength. Fitch Ratings this year warned it could downgrade the country’s debt, in part because of transparency concerns. Those same concerns are also helping push up borrowing costs. Despite Venezuela’s ample oil wealth, yields on the country’s bonds are nearly equal to those of impoverished Pakistan, and higher than war-ravaged Iraq’s. Chavez’s control over the country’s purse-strings — unprecedented for any Venezuelan president in more than 50 years — will be a key advantage in his bid for re-election on October 7. Projects successfully executed with billions of dollars in Fonden financing — housing, hospitals and public transportation lines — have improved the lot of Venezuela’s poor, many of whom are already fans of Chavez’s leadership. “It’s magnificent. It means we can have access to health care, education. All of this is for the people,” said Domingo Gonzalez, 58, after being treated for hypertension at a new Caracas hospital funded by Fonden. “People say Chavez is throwing the money away, but that’s obviously a lie, because otherwise we wouldn’t have hospitals like this one,” he said at the hospital gate near the slum of Petare, where middle-class Caracas merges with a chaotic jumble of narrow winding streets and ramshackle homes. At the same time, Chavez is under growing opposition fire over abandoned or half-built projects, including some that received millions of dollars from Fonden. A fleet of modern busses for a transit project in the city of Barquisimeto, which received $301 million from Fonden, were left sitting idle so long that vines started growing inside them. Some information about Fonden’s outlays can be found in annual reports of government ministries. The finance ministry last year released a partial list of projects, following pressure by Ramos, the opposition legislator. A link on Fonden’s website apparently dating from 2007 also provided a partial list of projects, but was taken offline in the first week of September. A cryptically worded internal Fonden document leaked to the press provides an outline of its financial investments, though it omits key details, such as losses on holdings. Other publicly available data is provided at irregular intervals and in formats that often do not allow for comprehensive comparisons. Public officials pressed for additional information are as laconic as Chavez is loquacious. A Reuters reporter at a Fonden event who approached the finance minister — the fund’s president – to ask questions was physically restrained by two security personnel. Venezuela’s public finances have never been particularly transparent, and much of the oil industry’s proceeds have been squandered for more than 100 years. Early 20th century dictator Juan Vicente Gomez passed out concessions to friends while enriching himself. The country became known as “Saudi Venezuela” during the 1970s oil boom, but corrupt politicians wasted and stole much of the bounty, and Venezuela’s economy was in ruins by the 1980s, after oil prices crashed. Chavez’s vow to direct oil revenue to the poor was music to the ears of millions and helped propel him to the presidency in a landslide election victory in 1998. Fulfilling that promise required years of struggle for control of state oil company Petroleos de Venezuela SA, a tussle that would be a major factor in sparking a bungled 2002 coup. A two-month oil industry walkout meant to force Chavez from power gave him the opportunity to sack PDVSA’s opposition-linked management, as well as half the company’s staff, leaving him firmly in control of oil revenue. He also sharply raised royalties and taxes on all producers operating in Venezuela. In 2005, as oil prices were reaching new highs, Chavez found a way to sidestep bureaucracy and speed up spending. Rather than creating a new state agency, Chavez founded a corporation: National Development Fund Inc, universally known as Fonden. Its status as a corporation owned by the finance ministry lets it disburse billions of dollars in state money while subject to few of the reporting and disclosure requirements that apply to government entities. Money funneled through Fonden is ultimately spent by government agencies, similar to funding from Congress. But it doesn’t require congressional approval. Instead, Fonden outlays begin with Chavez’s approval and are viewed by a board of directors made up of his closest allies. They include Finance Minister Jorge Giordani, a septuagenarian economist considered the brains behind the country’s byzantine price and currency controls, and Oil Minister Rafael Ramirez, who is also president of PDVSA. Industry Minister Ricardo Menendez, who oversees the Pulpaca pulp and paper project, also has a seat on the board, as does long-time Chavez ally Vice President Elias Jaua. It is not clear how often the group meets, and it does not publish meeting minutes. The flagship project for the plan is an aluminum rolling mill called Servicios de Laminacion CA, or Serlaca, in the town of Caicara. The company’s most recent annual report shows Serlaca had spent at least $312 million on the project by 2011. A subsidiary of Italian company Salico had been tasked with building equipment for the plant, according to an aluminum industry trade publication dated October 2010 posted on Salico’s website. Salico did not respond to a request for comment. By 2011, construction of the equipment had been stalled for 18 months for lack of funding, and the project had piled up debts with construction contractors, according to Serlaca’s annual report. A visit last month to the site showed only a clearing with a concrete foundation and structural skeleton for the main factory. Two union leaders and a civil engineer interviewed at the gates of the site said the project was moving at a snail’s pace and contractors were using their own money to keep it from grinding to a halt. They said infighting between unions had killed seven workers since construction began four years ago. Complaints from the neighboring community grew as the project remained stalled, and Caicara’s mayor accused Serlaca’s president of using company funds to advance his political career. The industry ministry in 2011 named a committee to look into the project, but Serlaca’s president – later sacked by Chavez – blocked the group’s efforts. In a televised broadcast in March from Havana, where he was receiving treatment for cancer, Chavez complained the project was moving too slowly and offered a plan to restart it: $500 million from Fonden. Serlaca’s current president did not respond to calls seeking details about the additional funding. With cash rushing into Fonden faster than it can build new roads and factories, the fund often has billions of dollars to invest in securities. But as the leaked internal report shows, Fonden at various times bought risky, high-yield securities in efforts to expand its resources while helping Chavez’s foreign allies. Its unusual portfolio has included bonds issued by ally Ecuador, high-yield derivative securities issued by Lehman Brothers, and Honduran bonds purchased to support then-President Manuel Zelaya. By 2008, these investments had become problematic: Lehman went bankrupt, and Ecuador declared a partial debt default. In addition, Fonden unloaded the Honduran bonds — purchased at a concessionary rate of 0.75 percent — months after buying them because Zelaya was ousted in a military coup. Fonden hasn’t revealed whether it lost money in these operations and if so, how much it lost. The fund sold off some of the assets and swapped the remainder for $960 million worth of derivative securities called structured notes, according to the internal Fonden report obtained by Reuters. But it offers no detail on the market value of those securities. The report does say that Fonden’s auditors pointed out that the fund had not adequately valued some $1.8 billion in complex fixed-income securities. That represented close to a quarter of its liquid assets of $7.9 billion in late 2011, according to the finance ministry’s latest annual report. Government leaders bristle at the idea that Fonden is Chavez’s slush fund. But Fonden appears to have violated its own internal rules about which investments it does and doesn’t make. A Fonden 2007 instruction sheet for agencies seeking funding says it does not finance the purchase of buildings, vehicles or shares in companies. But by 2010, it had disbursed nearly $700 million to buy shares in a retailer and two cement-makers — payments generated by several nationalizations ordered by Chavez. It also set aside $46 million to buy an embassy building in Moscow, and $19 million to buy a fleet of busses for use during the 2007 America’s Cup soccer championships. The president’s office received almost $10 million from Fonden, according to the leaked internal report. The office did not respond to requests for clarification. Fonden also gave $156 million to a social program called Mothers of the Barrio that provides cash stipends to mothers in extreme poverty, contradicting its stated mission to make “productive investments” that create jobs and spur development. The national comptroller’s office noted that in 2009 it detected “presumed irregularities” by Mothers of the Barrio, including payments to women who were not registered in the program and did not meet the conditions for participation. The women’s ministry, which oversees the program, did not respond to requests for comment. Fonden has also become a conduit for financing joint projects with Cuba, bankrolling at least $6.1 billion and disbursing at least $5.1 billion for some of the hundreds of ventures the two allies had signed as of 2010. Fonden does not say what the projects are. Press releases from bilateral meetings mention only several of the projects signed at each one, which run the gamut from a software development firm to a scrap-metal recycling operation. An agency overseeing the projects called the Cuba-Venezuela Joint Commission, which reports to the oil ministry, did not respond to requests for information. For Pulpaca, the two billboards at the site provide details on what has been visibly completed to date: around $43 million to clear land and build the warehouse. Its last annual report says that as of 2011, it had spent nearly $530 million. On a visit in August, silence hung over the compound. Trucks and bulldozers sat idly parked in rows. There was no sign of activity, or of the football-field-size machines that will be needed to turn Caribbean pine into paper. Even so, it continues to enjoy financial support from the government. Around the time Pulpaca said it was struggling to move forward, Congress approved an additional $305 million for the project. That, combined with the Fonden outlays, brings total funding to $845 million. And that’s not all. Pulpaca said in a recent presentation that it will need $1.4 billion to complete the newsprint factory. Hugo Chàvez is undoubtedly one of the most polarizing politicians in the world today. The man who has led Venezuela for 14 years is vehemently anti-American, a proud voice for Venezuela’s poor, a patriot and a poet, and a firm believer that national resources belong to the nation and no one or nothing else. That final Chàvez mainstay – that resources are best and most appropriately managed by the people for the people – has positioned Venezuela at the head of a group of Central and South American nations that are trying resource nationalization on for size as they struggle to make the most out of their oil and gas bounties. Venezuela is a global oil heavyweight – its 211-billion-barrel reserve is one of the top three national oil reserves worldwide – so Chàvez’s moves to nationalize his country’s massive oil machine gave neighboring countries the confidence to follow suit. Sometimes national control over oil and gas resources can work well. Saudi Arabia, Brazil, and Kuwait are all prime examples of well-functioning, state-controlled oil sectors. However, resource nationalization is a tricky business, and more often than not the process goes awry. Venezuela is no exception. Chàvez’s efforts to kick foreign firms out of Venezuela and use oil and gas revenues to fund social programs worked pretty well initially, but despite rising oil prices that early success has slipped away. In recent years Chàvez has demanded too much from the oil and gas sector, expecting ever-increasing revenues despite his reluctance to fund infrastructure and exploration programs. The result has been declining production, an exodus of technical expertise, and a pariah reputation in the international oil and gas industry. Now, with a presidential election looming and Chàvez struggling with a cancer that it’s rumored will take his life within months, the path forward for the country that has been a firebrand for South American resource nationalization is far from clear. Venezuela nationalized its oil industry in 1976, at a time when many countries in the southern hemisphere were asserting sovereignty over their natural resources. The transformation of Petróleos de Venezuela SA (PDVSA) into a state-owned company was hailed as a national victory. However, it did not take long for trouble to begin. In the 1990s global oil prices plunged and Venezuela, having based its budget on a certain level of oil income, found itself in deep economic trouble. PDVSA had 900 to 1,300 billion barrels of oil on its reserve books, but the company didn’t have the money or the technological know-how to tap into these reserves, most of which sat trapped in the geologically challenging Orinoco Belt. Seeing few other options, the country opened its oil sector to foreign investors: PDVSA started seeking out international partners willing to provide expertise and funding in exchange for a share of the profits. Big Oil arrived and started spending billions of dollars to unlock the heavy oil of the Orinoco. Then Mr. Chàvez won the 1998 presidential election on a populist ticket that promised to use the country’s vast oil wealth to benefit the poor. Venezuela’s experiment with foreign involvement in its oil sector slowly came to a halt. Despite initially adopting “orthodox” economic policies, Chàvez soon started making good on his promise to his people – he gradually closed the door on international investment, raised rents, and changed fiscal agreements to retain ever more oil revenue for Venezuela. Imagine this: at one point the government take on oil contracts was more than 100% – foreign producers would have had to pay Chàvez for the privilege of producing oil in his country. Chàvez brought a new form of politics to Venezuela. He identified with his supporters because he was one of them, having grown up poor, and he used language they understood, caring not that the elites saw such language as one of many signs that he was a buffoon with limited education and experience. His style stuck and the people grew to love him. 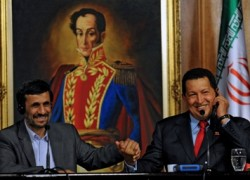 As he gained in popularity and confidence, Chàvez grew bolder in his moves to control Venezuelan oil in its entirety. In 2002 a group of PDVSA executives kick-started a general strike aimed at ousting Chàvez that lasted for a month and cut oil production to about 30% of normal levels; in response Chàvez fired nearly half of the company’s employees – 18,000 people in all – erasing large swaths of technical know-how in one fell swoop but sending a clear message that he would not tolerate dissent against his control over Venezuela’s oil. By 2007 Chàvez had gained enough confidence to essentially complete his oil renationalization campaign – he expropriated oil assets in the Orinoco by issuing a decree that PDVSA hold at least 60% ownership in all international partnerships. What little was left of Big Oil pretty much packed up and left Venezuela. National oil production immediately fell by 25%. You could say that was the beginning of the end, or the end of what had been a great beginning. That great beginning was undoubtedly aided by rising global oil prices: when Chàvez came to power, oil prices were sitting near $12 per barrel. By 2006 prices were averaging almost $60 a barrel, Venezuela’s coffers were overflowing, and the Venezuelan president felt unstoppable. Those rising prices created such a sense of success around Chàvez’s experiment with renationalizing Venezuela’s oil and gas sector that Chàvez was able to convince his compatriot leaders in South America to follow in his footsteps. And it worked – Bolivia and Ecuador renationalized their oil sectors, and the concept of resource nationalization took hold in Argentina. As his geopolitical influence grew, Chàvez also devoted attention to the oil-needy nations in his neighborhood, implementing an oil-transfer program to energy-needy Central American and Caribbean countries. With his oil sector seemingly able to provide for so many, resource nationalization took on new life across South America, and Chavez was the movement’s proudest spokesman. But here the word “seemingly” is key. As oil prices rose, PDVSA profits also rose, and it seemed that nationalization had been a boon to Venezuelan oil. But the increased profitability stemmed only from rising prices; the company itself was being strangled by a lack of investment – Chàvez spent all of PDVSA’s profits on his domestic fuel subsidies and social programs – and its dearth of technical expertise. In short, a sector can only provide profits if it is also supplied with investment; and that is where Chàvez went wrong. Like so many other socialist leaders who nationalized resource sectors with great fanfare only to see the sectors wither away because of insufficient TLC, Chàvez failed to put money back into PDVSA. Not only has production declined, but PDVSA’s financials have also deteriorated dramatically, its debt increasing from US$2.7 billion in 2005 to some US$33 billion now. Yet PDVSA continues to borrow money at an incredible rate, in large part to fund those domestic oil subsidies that are so very popular among Chàvez supporters. These subsidies cost the company US$15 billion a year. The view forward is unclear. 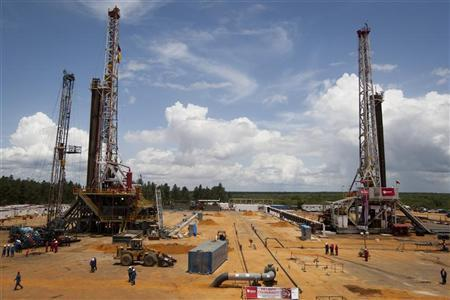 PDVSA lacks the technical expertise to take advantage of the heavy oil in the Orinoco. With foreign investment – and therefore involvement – in the oil sector banned and PDVSA drowning in debt, the prospects for turning Venezuela’s fading oil sector around are pretty dim. Unless, of course, the sector is opened up to outside investment… which could well happen if Chàvez ceases to be part of the picture. Over the last 12 months Chàvez has made regular trips to Havana for cancer treatments. The only official information about these treatments is that two malignant tumours were removed from his pelvic region. The secrecy surrounding Chàvez’s cancer and the fact that Chàvez, who rarely goes a few days without speaking directly to his people, enters radio silence during his trips to Cuba have fueled rumors of his declining health. Several times already these have ballooned into claims that the Venezuelan president had died. This is not the first time rumors of Chàvez’s pending death have surfaced. However, with his treatment having dragged on for a year already, with his uncharacteristic disappearances to Cuba growing longer and more frequent, and with Rather’s reputation for accuracy lending credence to this new information, it is time to ponder Venezuela – and South America – without Hugo Chàvez. Chàvez would be incredibly difficult to replace. His rags-to-riches story line, bold governing style, and idiosyncratic mannerisms have earned adoration from the Venezuelan population, especially the poor and working class masses who constitute his prime electoral base. He also enjoys broad support from Venezuela’s military members. This is a president who announces executive orders between readings of poetry, regularly draws families around their televisions to listen to his lengthy and often fiery speeches, and sings Venezuelan folk songs on a weekly show called Hello President. There are few people in the world who could match his charisma and earn such allegiance from a national population. That is why, even though others from Chàvez’s inner circle bear similar political views, most observers think any Chàvez successor would have a very difficult time maintaining the Chavista movement. So when Chàvez dies, what might become of Venezuela? In the immediate aftermath, Vice President Elías Jaua would take power, according to the Constitution. In fact, Chàvez recently formed a nine-member State Council headed by Jaua to assist him with executive duties, a move many interpreted as a preparation for his impending demise. In the longer term, Venezuelan political observers see five potential successors within Chàvez’s Socialist Party. All hold similar views, but none enjoy anything close to Chàvez’s recognition and support. The Party would have to hope that Chàvez’s reputation can carry one of these candidates to the presidency, but such a succession is far from assured. If Chàvez dies before the October presidential election, opposition candidate Henrique Capriles would suddenly see his odds of winning jump dramatically. Polls show Capriles currently lagging behind Chàvez by roughly 5%, but the same polls found that Capriles would win the race by double-digit margins if he were to face a Chàvez successor instead of facing Hugo himself… unless, of course, the Socialists rig the election. Given that Chàvez has proven that a high regard for democracy is not a required characteristic for someone holding the Venezuelan presidency, this is not unlikely. Capriles is a veteran politician, having previously served as governor of the state of Miranda despite being just 39 years old. He is a center-left politician who has cleverly focused on issues close to the day-to-day lives of Venezuelans: crime, corruption, declining services, inflation, and jobs. Capriles’ petroleum policies are less clear, but his rare comments on the matter indicate he would keep PDVSA as a national entity while allowing the company to engage in investment partnerships with foreign firms, much like the Brazilian national oil firm Petrobras. If Chàvez is healthy enough to run, he will almost certainly win the election in October. If he is not, we see two possible paths. The first is that Capriles finds himself president of Venezuela, and South America loses its resource nationalization ringleader. However, a desire to change how Venezuela’s oil sector operates is very different from the actual ability to do so. The biggest obstacle to change: those domestic oil subsidies. If Capriles wants to revitalize PDVSA – indeed, if he simply wants to give PDVSA a chance at economic survival – he would have to significantly reduce the domestic oil subsidies, and likely also reduce social spending to free up some oil revenues for reinvestment into the country’s oil fields. And that would cause riots. We have seen it before, most recently in Nigeria: populations that are accustomed to having access to cheap oil are highly unwilling to let go of that benefit and will riot, often violently and for extended periods, at the mere suggestion that gas prices need to increase. Oil-related riots in one of the world’s top-ten oil-producing nations would undoubtedly push global oil prices higher. The other potential path for a post-Chàvez Venezuela is that his successor within the Socialist Party wins the presidency, legitimately or with the aid of electoral fraud. This Chàvez clone would then be stuck trying to fill Hugo’s shoes, a near-impossible task in which he would only have a chance at success by promising even more in the way of social spending. These expensive programs would put even greater strain on Venezuela’s budget, which is funded in large part by revenues from PDVSA. There would continue to be no money available to finance PDVSA’s spending needs, and production would continue to decline. Guess what? This scenario – of continued production decline in a major world supplier – would also push global oil prices higher. The bottom line is that Chàvez has created a lose-lose scenario for Venezuelan oil. The country has become reliant on a one-way flow of money and cheap oil from PDVSA to society, but after a decade of neglect PDVSA is withering away and the flows are drying up. Even if Chàvez dies and a left-leaning leader like Capriles comes to power, Venezuela will have to convulse through many ugly years before a functional relationship can be reestablished between its oil riches and its social demands. In the meantime, Venezuelans and the world will have to do with only limited access to Venezuelan oil. So, for those of us positioned to gain from a long-term rising oil price, it’s heads we win, tails we win. The CEO of Royal Dutch Shell expects oil prices to continue easing through the rest of the year, as demand reacts to a slowing global economy and international tensions ease. Peter Voser’s statement came just as Brent crude dropped to a 16-month low – below US$96 per barrel – on the heels of further weak economic news from the US and China. In addition, concerns over the state of the European economy have taken the spotlight away from the lingering tensions between Iran and Western powers, which just three months ago helped to push Brent above US$128 a barrel. Global demand for natural gas will rise by 2.7% annually for the next five years, a faster growth rate than previously expected. China and the United States are driving the additional demand by switching from coal to gas to generate electricity. In China alone consumption is expected to double to 273 billion cubic meters in 2017 from 130 billion cubic meters today, representing an average growth rate of 13% per year. Canadian coal companies are not slowing down exploration nor development programs despite a drop in prices in China, their main export market. Companies are generally viewing depressed prices as a transient problem and see demand from Asia remaining strong in the medium term, especially for British Columbia’s high-quality metallurgical coal. It has been a mystery for years: how does South Sudan remain so poor and hungry when it receives billions of dollars in oil revenues every year? The answer is now clear: South Sudan’s president says corrupt officials have stolen $4 billion in oil revenues since 2005. He is asking those officials to return the stolen funds. Any returned funds would be especially useful at the moment, because a dispute with Sudan has shut in South Sudan’s oil production and thereby eliminated about 98% of the government’s official revenue. A small group of international scientists, politicians, and business leaders are gathered in the Ny-Alesund research station on the Norwegian island of Svalbard to discuss the path to a global low-carbon economy. Meanwhile, just outside the station an oil rush looms – one that threatens to spark territorial disputes and saber-rattling as a host of nations compete to claim rights to the Arctic seabed. (Reuters) – Here’s an economic riddle of sorts: Which economy grew faster over the last seven years? A) President Hugo Chavez‘s Venezuela, famous for its forced nationalizations and “21st century socialism,” or B) Chile, long renowned as a capitalist paradise for investors. It might surprise some outsiders to learn that the answer is actually A. In recent years, commodities prices have dictated growth in Latin America more than any other factor, meaning that countries could trample on businesses but still grow briskly as long as they exported plenty of raw materials such as oil and iron ore to China and elsewhere. Venezuela, the region’s No. 1 oil exporter, has averaged about 4.6 percent economic growth since 2005, compared to 4 percent in Chile, the world’s leader in copper. An even clearer example of commodities’ almighty reign was Argentina, which averaged 7 percent growth during the same period as record soy and other farm exports helped offset the government’s hostile stance toward energy companies and some other investors. Now, it looks as if the trend is shifting. In Latin America, 2012 seems set to be the year in which business climate clearly reestablishes its supremacy as the main driver of growth. The countries expected to grow the fastest in 2012 are also generally the ones that are perceived by the World Bank and others as treating investors the best. That means Chile, Peru and Colombia should lead the pack, while Venezuela and even Brazil will lag a step behind – just as they did last year. What has changed? The global economy. Demand for many commodities is expected to slacken in 2012 due to economic problems in buyer markets such as China and Europe. That means it will be up to Latin American countries to generate more of their own growth – and the ones that fare best will be those who have made their labor laws more flexible, cut red tape, and taken other steps to stimulate business. One way to measure the trend is by looking at the World Bank’s annual “Doing Business” study, which ranks the business climate in 183 countries around the world based on how well they protect investors; the ease of starting a business; the simplicity of paying taxes; and other factors. The cluster of Latin American countries that rank a clear step above their other regional peers in the survey are Chile (39), Peru (41) and Colombia (42). All three of those economies are forecast to grow 4.5 percent or more this year, according to the International Monetary Fund‘s latest forecasts, made in October. Countries that rank lower in the Doing Business survey, such as Guatemala (97), Brazil (126) and Venezuela (177) are all forecast to grow in the 3.5 percent range or lower. The divergent trend is even more pronounced in more recent 2012 forecasts by Wall Street firms such as Morgan Stanley. The region’s other two big economies also appear to be headed in opposite directions. Growth in Argentina (113) is expected by the IMF to be around 4.5 percent this year – but that’s just about half of last year’s pace. Meanwhile, Mexico’s (53) relatively open, low-tax economy should show resilience, with growth of 3.6 percent – well above its roughly 2 percent trend level since 2005. Most of the countries at the top of the economic league table have vigorously implemented pro-business reforms in recent years, often with the explicit goal of improving their standing in the Doing Business rankings. “The rankings improve your standing with investors, but … the real reason to do it is to help you identify deep changes in the system, things that will help your economy grow better,” Plata said. For this year’s “champion,” the dividends are clear. Chile saw foreign investment of $13.79 billion in 2011, a historic high that contributed to the country’s fastest economic growth in years. A top Chilean official told Reuters last month that the government expects a new record in foreign investment this year. In countries closer to the bottom of the table, attitudes are notably different. Argentine President Cristina Fernandez has shown few signs of softening an antagonistic stance toward some investors that in recent years has seen her government nationalize private pension funds and face widespread suspicions of manipulating basic economic data such as inflation. Venezuela’s economy remained buoyant for years thanks largely to its status as South America’s biggest oil exporter, but Chavez’s frequent confrontations with business have hollowed out much of the private sector and left the economy dependent on state spending. In Brazil, Latin America’s largest economy, the picture is slightly more complex. While successive governments have catered to private enterprise to a much greater extent than Argentina and Venezuela, Brazil has also failed to push any major pro-business reforms through Congress in a decade. As a result, investors have become frustrated with the country’s high costs and red tape. Brazil dropped six spots in the latest Doing Business survey – more than any other big economy in Latin America – and ranks in the world’s bottom third in categories such as trading across borders, dealing with construction permits, and ease of paying taxes. Partly as a result of the business climate, some economists believe that Brazil may be downshifting into a new era of 3 percent to 4 percent economic growth, which would be a letdown after the faster pace of previous years. “Brazil hasn’t kept pace with some other (Latin American) countries on some of the really important long-term questions, and they may pay the price for that,” said Gray Newman, chief Latin America economist for Morgan Stanley.